After years of rumors and anticipation, fans are finally getting what they want. Will Ferrell, along with Steve Carell, Paul Rudd, and David Koechner, are going to return to their popular roles for the sequel to the 2004 comedy hit, Anchorman: The Legend of Ron Burgnady. Arguably the most quotable film of all time, Ferrell fans have been actively demanding a sequel to be made ever since the first film came out nearly a decade ago. The official announcement was made tonight by Will Ferrell while in the Ron Burgandy character tonight on Conan on TBS. Ferrell came out playing the flute on the show, surprising the O’Brien, the crew, and fans. Ferrell kept up the classic character well and had the crowd roaring. He also paid respect to O’Brien and his crew for the good job they do on a nightly basis. He did rib Conan on his look, telling him he looked awful. After a few minutes of jokes, Ferrell made the announcement. It has not been announced when the sequel will come out or how much, if any, work has already been done on the project. 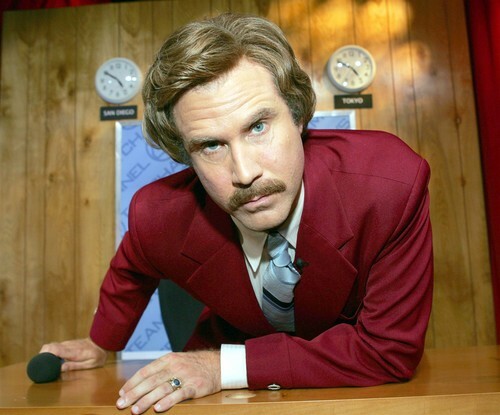 Regardless, fans are already buzzing about the film and are excited to see what Ferrell and crew will put out.